Guitar great Al Di Meola will bring his Opus Tour to City National Grove of Anaheim on Friday, September 28 with special guest Jordan Rudess. While juggling acoustic tours in Europe and electric tours in the United States, Di Meola arrived at the perfect marriage of the two aesthetics on his album, 2015’s Elysium, which finds the guitar great blending the lush tones of his nylon string Conde Hermanos acoustic prototype model and a ’71 Les Paul electric (his Return to Forever and Elegant Gypsy axe) in a collection of songs that are at once invigorating and alluring. “It represents a new composition phase for me, whereby the writing became, in a sense, my therapy during a challenging personal transition in my life," he said. In 2015, he was honored as the 22nd recipient of the Montreal Jazz Festival’s Miles Davis Award. 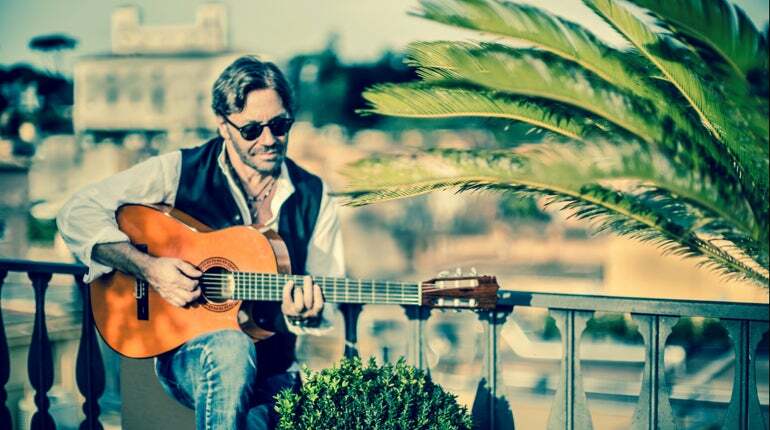 Di Meola has regenerated the jazz idiom three times over while dedicating himself to his art. And at age 63, this guitar hero seems inspired to begin a new chapter in his career with the release of OPUS (EAR Music) in February 2017.